I love fun and EASY treats for the kids, but sometimes I feel terribly inadequate when I search on pinterest and see all these CRAZY desserts and treats, I mean seriously… I just don’t have the time or patience. So when I find something fun AND easy to make, I’m all over it. 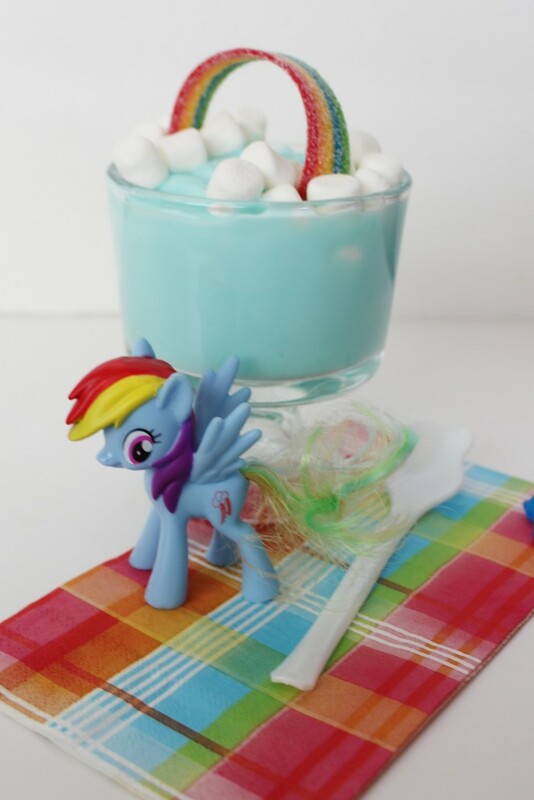 This Rainbow Parfait is one of those that ANYONE can make, so easy and yet fun! Be sure to follow me on Pinterest for more fun ideas. 2. Transfer yogurt to 2 serving dishes. 3. Add several dollops of whipped topping on top of the yogurt. 4. Lay the rainbow candy strip on top of the whipped topping. 5. Sprinkle mini marshmallows on each side of the rainbow. Transfer yogurt to 2 serving dishes. Add several dollops of whipped topping on top of the yogurt. 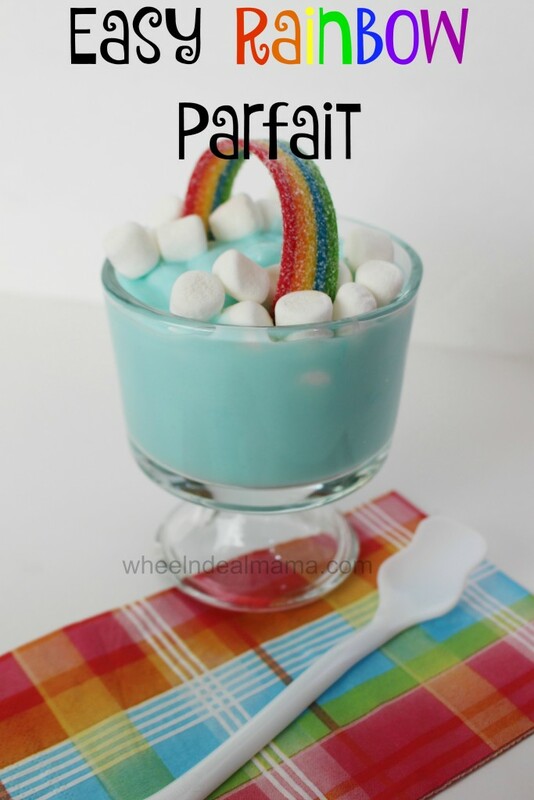 Lay the rainbow candy strip on top of the whipped topping. Sprinkle mini marshmallows on each side of the rainbow.